Home | Blog | Succulent Surprise for STAMPtember®! Hi everyone! It’s Shari here with a special treat. Today is the last day of STAMPtember® and we have two new stamps sets to share with you and a token of our appreciation for you!!!!! As you may know, there is a succulent mania going on, they are so popular for the home. 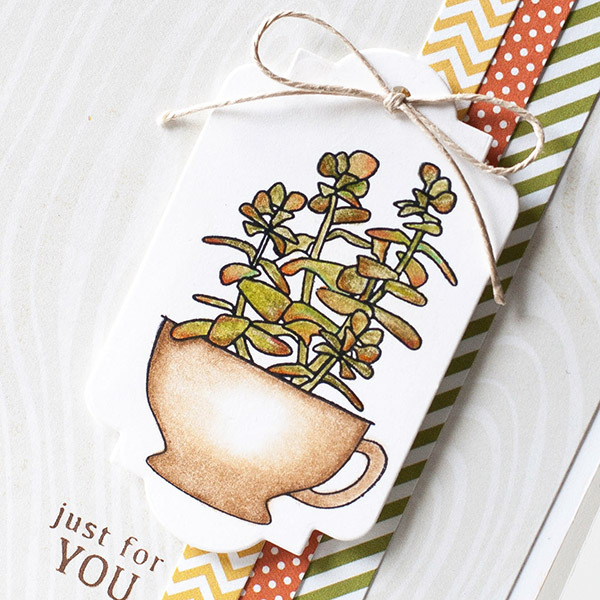 Today let me introduce you to Succulents for card making: Cups and Succulents and Greetings and Succulents. Both stamp sets have matching dies. So fun!!! You can check them all out HERE. Thank you so very much for your support during STAMPtember! Please enjoy the special $5 off any order $5 and up order coupon from above! We hope you’ve had loads of fun and keep on stamping. 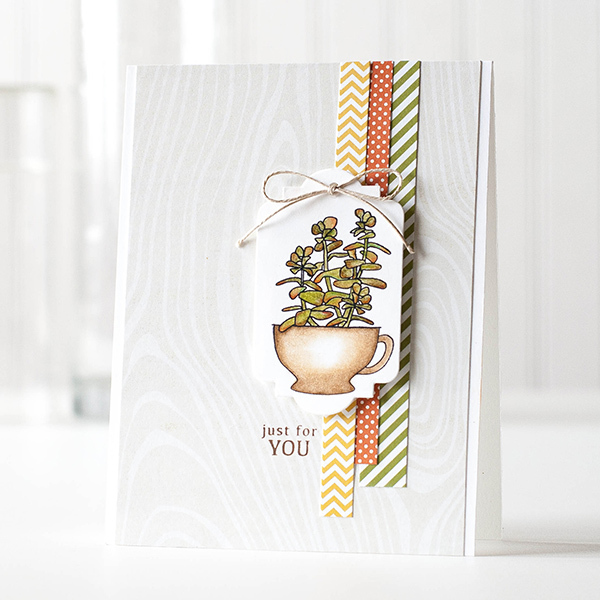 I’ve used the Succulents and Cups for my card, keeping it simple with basic stamping and coloring. If you look closely at the stamp set, these are designed in two parts. The top of the cup is part of the plant image! That means any of the plants go with any of the cups or pots. Brilliant!! Super cute and perfect for a friend!! I’ve put together a video for you on how I created my card. Hope you enjoy! Blog Candy Alert!! I have one last giveaway for Stamptember®!! Follow our blog via email and comment on this post for a chance to win a special blog candy from our STAMPtember stash! Oh my, what an absolutely wonderful giveaway set!! Such an original stamp set. Great way to be “floral” without the flowers. Love the new succulent stamps and dies! Fabulous card! Thanks for the inspiration! LOVE these stamps, I sooooo need these. Hey SSS any chance you will be getting a UK distributor? I love those succulents – very unique and so useful for making feminine or masculine cards! Wonderful card, elegant in its simplicity. Love this set and ideas. Thank you! Love how the top of the cup is part of each of the plant fillers! Clever! So many great stamps and then along come these! I just love this stamp set! Gorgeous! Very unique! Way to go Sandy and SSS! I just wanted to thank everyone at SSS for giving me a super fun first Stamptember!!!! Love this card, Shari, and I’m loving the stamp set, Sandy!! Very nice Shari, I just love that card. The colors in the succulent and the strips of paper down the side look great together! What a “stamp-endous” way to end such a super Sept… I mean, Stamptember! I’m officially an SSS fan!!! Beautiful card, thank you for sharing the video! So pretty! Thanks for the chance of win! The cards are great and I love that new succulent stamp and die set. Love that these stamps are sooo different! and designed by Sandy Allnock!!! Neat card~Love the focus on the stamp! Wow! Love succulents! Beautiful card! That was a great video as usual Shari, so inspiring. I’d never heard of gamsol before, what a cool technique… you learn something new every day!!! for sure! Thank you.